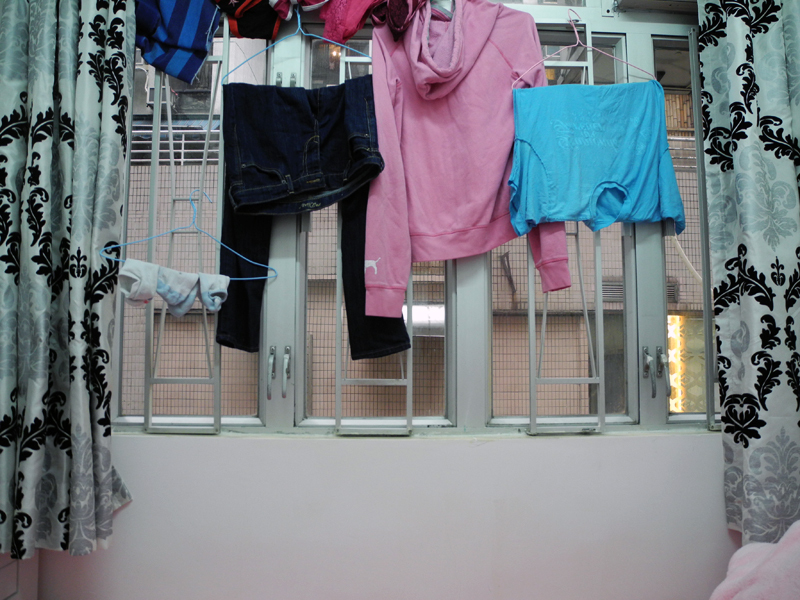 I spent my first few days in Hong Kong stressing about how I was going to clean my clothes. Well, more specifically, how I was going to dry them. 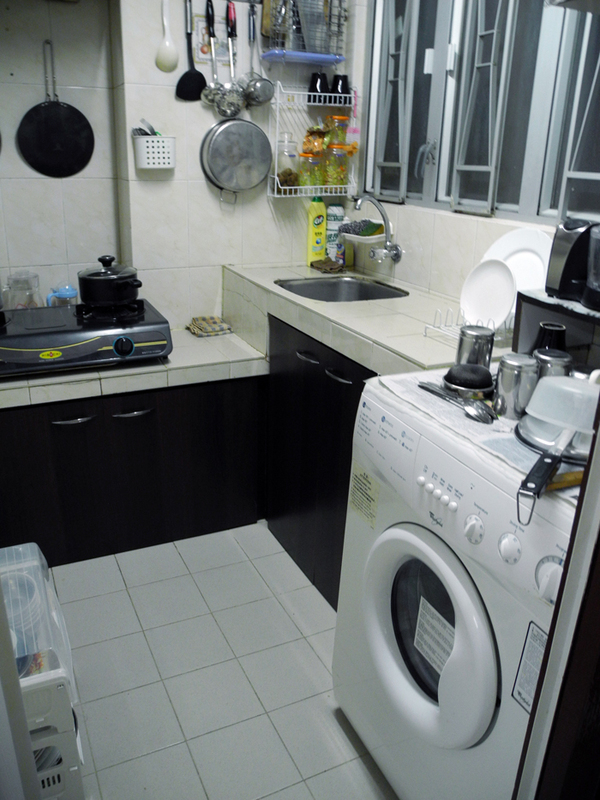 HK is one of quite a few places around the world where drying machines aren’t common home appliances. They do take up a lot of space and use quite a bit of electricity, and besides, who needs dryers when you have perfectly good windows to hang your wet laundry by? This, my friends, was quite disconcerting for me. Never in my life have I had to do my own laundry without the use of a dryer. My history with laundry is short — I didn’t learn to do it until I graduated from high school. My parents, being the wonderful people they are, always did the laundry, and apart from being lazy, I was also rather intimidated by those mysterious machines. Pretty much the only chore I did around the house was manually washing the dishes because there’s really no way to screw that up [arguably]. But the washing machine had so many settings! Do something wrong and all the clothes could get ruined, or worse, I could end up breaking the machine and flooding the house! I probably sound like a total moron, but having a hypercritical mother does that to your self-esteem. 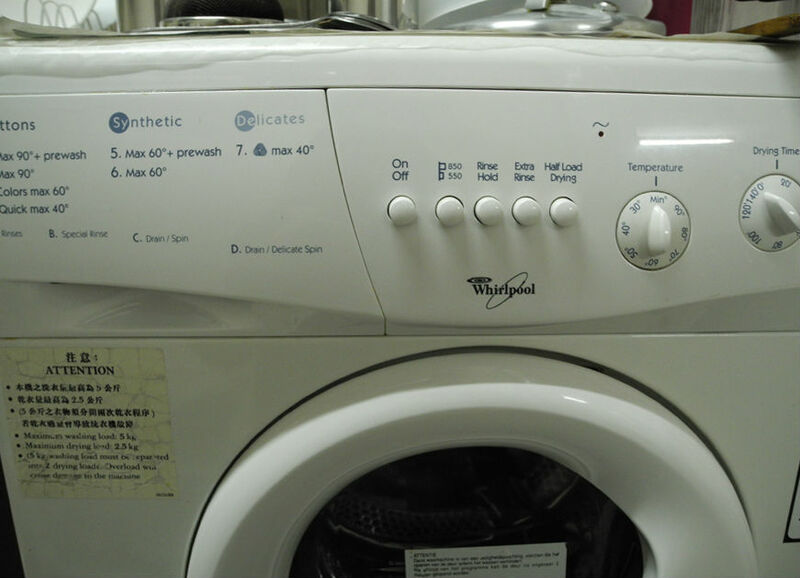 Anyway, when I studied abroad in HK before, our dorm had huge laundromat-style dryers. When I taught English in China during the following summer, one of the church’s prayer warrior ladies [truly a blessing] kindly did my laundry for me. And whenever we visit our relatives in China, there’s always somebody else who will take care of laundry for me. The thought of not having a dryer really flustered me. Another thing that continues to perplex me is the mystery of my missing laundry bags. I distinctly recall packing my two pink laundry bags into the front pocket of one of my suitcases, but when I arrived in HK, they were gone. Their inexplicable disappearance is annoying because 1. who would steal laundry bags??? and 2. they were a gift from my mother [if you can call it a gift? ], and I considered them her blessing to go out into the world and do my own laundry freely. And they were pink!!! Also, not having laundry bags means I can’t haul my stuff to the nearest laundromat. In any case, I’ve been keeping my dirty laundry in the random Express shopping bag that I used to pack all my toiletries. This turned out to be an advantageous option because the tiny washing machine in the kitchen of this apartment can pretty much only hold the contents of a medium-sized shopping bag, about two pairs of pants, one sweater and some socks. 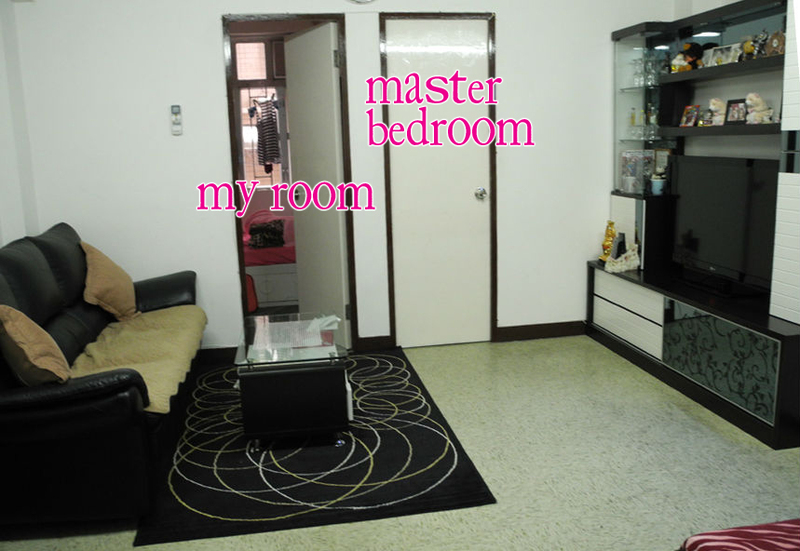 And the fridge is in the living room. Welcome to HK. I examined the exterior of the washing machine for a long time before attempting to use it. Due to my insecurity about messing up appliances, I prefer to read user manuals when possible, which was not an option here. Instead, I was presented with an assortment of buttons and knobs — a paranoid person’s favorite! Notably, it’s an American brand. The button on the far right reads “Half Load Drying.” I thought I was saved: It must be a magical machine that washes and dries! Technology is wonderful! Bobby and Tracy had already departed for India by the time I gathered the courage to undertake my first load of laundry, so I asked Aman to show me how it was done. 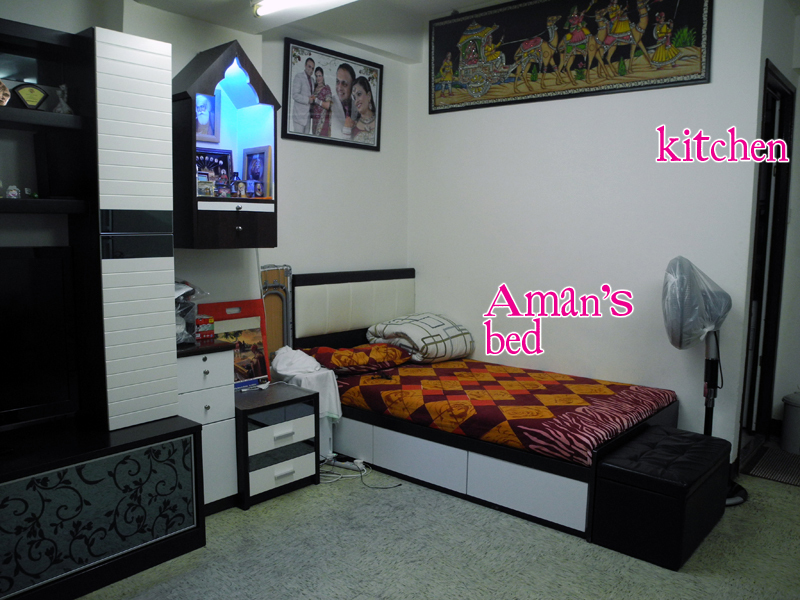 Tracy had told me that the previous tenants just gave their laundry to Aman to do and paid her around $40HK [~$5US] per load, which means that they were either really busy, lazy or rich. I’d rather spend that money elsewhere [AKA buying more clothes that I’ll have to wash], thank you very much. Sidenote: Why does Hong Kong [primarily] use powder detergent while America uses liquid? Is it a British thing? When the washing was complete, I asked Aman if I could also dry my clothes in the machine. Alas, the language barrier proved too great, and she nodded while grabbing some hangers and showing me how to hang my clothes on the window. Ugh…I resolved to take up the challenge on my own the next time. After all, how hard could it be to figure out? Pictured: a humble learning experience. And my view of the building next door. The thing about Hong Kong is that it’s a really humid city all the time. I washed my clothes on Sunday afternoon, and by the time I took them down on Wednesday, they still seemed damp. How does anybody get their clothing to dry properly in this place?? Annie told me that having a heater or dehumidifier speeds up the process significantly, but I have neither, so I guess I’ll just wait for the week that it takes for my laundry to dry. The second time I did my laundry, my prior confidence in figuring out the washing machine deserted me, and I messed around with the buttons and knobs uselessly. I asked Aman again if I could dry my clothing in the machine, but she just put it on another drain/spin cycle. Thus, I’ve resigned to my fate. I suppose it’s not so bad. My perpetually hanging laundry blocks the view from outside when I’m too lazy to close the curtains while changing pants and such. And at least, in the current cold weather, there isn’t a damp smell. The fridge is to the left of where I’m standing. The altar(?) on the wall glows like a giant blue nightlight 24/7. Happy Chinese New Year! I ate lots of dim sum this past week to celebrate, heehee. Who’s Aman? Is she the maid? So her room is in the living room? You are currently reading Laundry at auradis.